Yagi antenna is ideally suited for providing and/or improving reception in residential homes, work shops, small-sized parking garages, basements , small office areas, rural areas and places where the reception is weak. It will help to boost signal and increase data transfer speed. 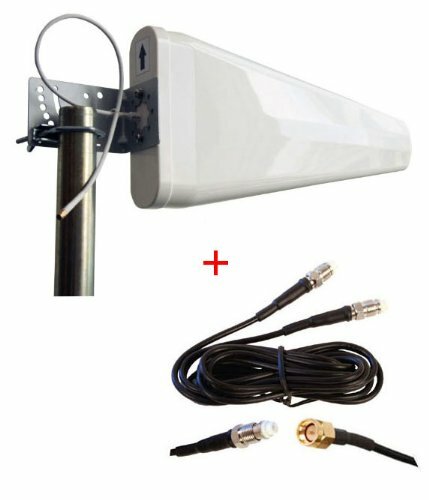 The wide Band Log Periodic Directional Antenna will collect the cell tower signal and send it through the cable to an amplifier, cell phone or cellular data card. When the cell phone or cellular data card transmits, the signal is transferred to an amplifier or directly to the antenna and broadcast back to the cell tower.